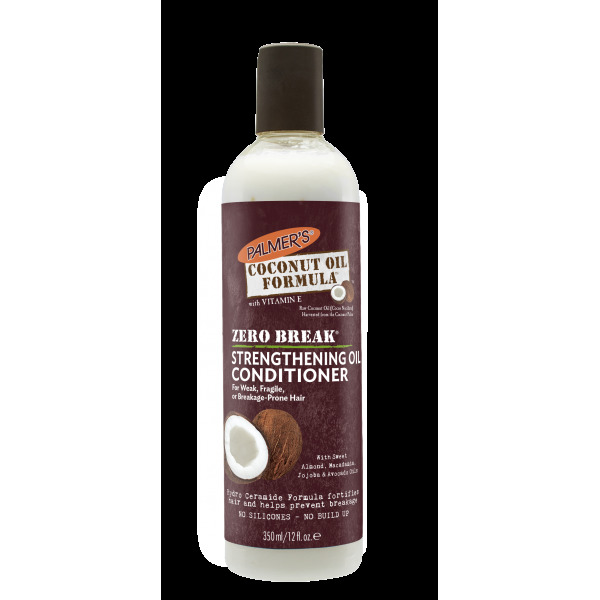 Palmer's® Coconut Oil Formula™ Zero Break™ Strengthening Oil Conditioner contains ethically and sustainably sourced Extra Virgin Coconut Oil and Tahitian Monoi in addition to a hair-healthy blend of Sweet Almond Oil, Macadamia, Jojoba and Avocado Oils. This silicone-free formula fortifies hair for optimal growth and shine without buildup or weighing hair down. 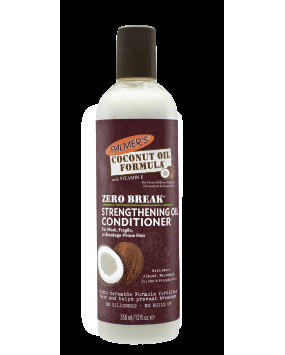 Apply Palmer's® Coconut Oil Formula™ Zero Break™ Strenghtening Oil Conditioner to wet hair. Allow product to penetrate for 3-5 minutes before rinsing.